Guide to Entebbe car rentals- Uganda self drive, 4wd car rental Entebbe, 4x4 suv hire Entebbe Airport, 4x4 car Hire Entebbe Airport (EBB) and Kampala with driver, chauffeur driven Uganda on unlimited mileage. 4x4 Cars for hire at Entebbe Airport include Toyota Rav4, Pajero i/o, Honda CRV , Suzuki Grand Vitara, Toyota Prado. Safari Land Cruiser, Hiace Mini Van, Nissan Xtrail, Land Rovers, Hilux Double Cabin, Mitsubishi Pajero. 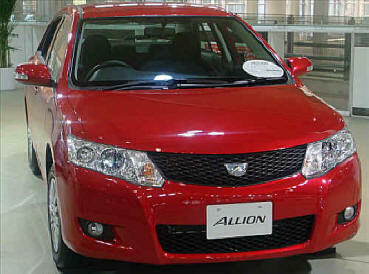 Also available at affordable price are toyota premio, allion, and nissan sunnys. Car hire rates are determined by many factors. Different car hire companies have different formulas. Some base the rates on mileage, yet others use a flat daily rates. Our car hire rates or prices are calculated on an all inclusive flat daily rate on unlimited mileage basis. The car hire rates are valid throughout the year. One way drop off Charges apply pick up in Entebbe and drop off in Kigali (Rwanda) or Nairobi( Kenya) or other Ugandan towns like Kabale, Junja, Katuna etc Daily rates refers to 12 hours of day light and not 24 Hours. Economy 4wd/ 4x4(Four wheel drive) cars with air Condition, Stereo tape/CD player, Manual or automatic transmission 2/3/4 door, ABS, Air bags, power windows, power mirrors. || Passengers 2/4 passengers || Luggage space. Included in this category are Toyota Rav 4, Suzuki GVitara, Honda CRV, Mitsubishi Pajero, Pajero i/O. Nissan X Trail, Engine Capacity 1.6-2.0cc || Insurance- Car comes with either comprehensive insurance- inclusive of CDW, TPW. Car rental options-self drive, Chauffeur driven with or without fuel. The safari mini van is either a custom made Toyota Hiace or Nissan Urvan with pop up roof and seats configured for maximum comfort and reclining. Another feature is the off road nature of this car. It is either 2 WD or 4x4wd with 4 doors, Air con, Stereo tape/CD player, Manual/ Automatic Transmission, Luggage space. Seats 6-8 Passengers. nsurance- Car comes with either comprehensive insurance- inclusive of CDW, TPW. Car rental options-self drive, Chauffeur driven with or without fuel. The safari Land cruiser is custom made for safari with pop up roof. The car comes with a driver. Self drive is not allowed. Features-4WD or 4x4 (Four wheel Drive), 5 doors, Air conditioining, Stereo tape/CD player, Manual Transmission, seat 6-8 passengers, Luggage space . Insurance- Car comes with either comprehensive insurance- inclusive of CDW, TPW. Car rental options-self drive, Chauffeur driven with or without fuel. R&N Entebbe 4x4 Car Rental Company offers ultimate mobility, flexibility and fun in your own privacy. In order to achieve this you need lots of freedom of choice of when to start your journey, where to stop, where to sleep and the flexibility to alter the programme at any time. Our selection of rental cars in Entebbe Uganda is wide with hire vehicles including the latest of SUVs (Sport Utility Vehicles) also called Off-road cars like 4x4 Toyota Rav4, 4x4 Toyota Land Cruiser ,Pajero i/o, Honda CRV , Suzuki Grand Vitara, Toyota Prado, Mitsubishi Pajero, 4x4 Nissan X trail, Hilux double cabin pick ups and full size 4x4 Safari Landcruisers, Land rovers and Safari minivans vans. Fun: Car hire is fun. No Hidden charges-Guarantee daily rate. Our daily rental price is all inclusive. Quoted prices are inclusive of all government taxes. Unlimited Mileage-This gives opportunities of unlimited discovery at no extra cost. Safety And Security-When you hire a car with us, you have guarantee of a car which is well serviced in in sound working condition. Every rental car is subjected to thorough check to ensure that its all systems go. Peace Of Mind -All cars come with comprehensive insurance thus you are assured that in case of collision and damage to third party you are covered. Comprehensive cover takes care of passengers in the car but not the driver. Continuity- in the event of major breakdowns, your car will be replaced in the shortest time possible. Flexibility- You can change your rental plan in the middle of the rental. You can pro-long your rental by calling and informing the office. One Way Rental/ Rent Here Leave It there: Flexibility is also exhibited as regards pick up and drop off. You can rent a car in Entebbe and drop off your car in Kampala or pick from airport and return in the hotels. Questions to ponder- What is the purpose of hire-business?, Family? Leisure?, Wedding/Occasion? or Prestige? Haulage? or to replace your broken down car? Another important question is Destination-Where will you be ravelling to? Are you going to be within Arusha or will you go upcountry? Will you keep on main roads or off-road? NB: Sedans or salon cars will do in towns. A Toyota RAV 4, Honda CRV, Pajero i/o or similar will do in moderate corrugation. Another issue is The Hidden Charges: Some car hire companies will not reveal to you the total cost of the rental, limitations on limited mileage and insurance. Our car hire company has no hidden charges policy. We call it not a cent more not a cent less policy. The best cars for wedding:-Mercedes Limousine, Stretch Limos and Prados, Mitsubishi Lx available with drivers or not. A self drive car hire will attract a refundable deposit of USD 500.00 (Five hundred only) or more per vehicle as a sign of good will that you will return the car in good condition. Not must:- a refundable deposit is not a must. In some cases it will be waived. The terms and conditions of the insurance cover of a particular vehicle are transferred to the hirer for the entire period of hire. RECOMMENDED INSURANCE-personal travel insurance cover. All confirmed booking must be secured by a deposit via a credit card or bank transfer. no booking will be confirmed without a deposit. Deposit will be determined by the length of rental. The hire must be between 23 years of age and 70 years of age. The hirer must present a valid driving licence recognized by any authority. An international driving licence is not a must. Also one must have valid identification document. All Kenyans and East Africans wishing to hire cars must produce further proof of identification. The officer in charge of a location has the right to decline one car hire if he feels the safety of the car is not guaranteed. Such refusal is not subject of review by any other employee of the company or owners. We do offer Chauffeur driven services. Being tour drivers, they do not usually observe the 8:00 to 17:00 Hrs work schedule. Work for our drivers is usually assignment driven. As the hirer you are expected to issue reasonable instructions to the driver. The driver is at your disposal. However an overworked driver is likely to cause accidents. In Uganda we keep left. The hirer or his official driver is expected to observe all traffic rules. At all junctions and round about, give way to people coming from your right. Pay all parking fees and any fines as a result of speeding. Driving along Kampala-Kabale-Katuna road/ Kampala-Junja-Busia Road can be dangerous. That road is "owned" by the trailers. Give way to them all the time irrespective of your right of way. For car rental or hire in Uganda, like other countries the police checks can ruin your trip. To avoid complications with the Uganda police, make sure that the car rental company or individual has the necessary papers for the car. These include Current insurance certificate. Car Accessories -spare wheel, jack, fire extinguisher, life saver triangle. Car Rental to remote Northern Uganda and Karamonja requires extra tyres and tubes at your own expense. Unless you are already within the country, our rental include Entebbe airport transfers. We pick you at the airport and return you to the airport. Cars can also be dropped at Entebbe Airport, or your hotel at the expiry of rental. These rentals are available on request. Car rental may include the following items on request- toddler / baby seat, camping gear, water container ,camping gear is available at extra cost. Extra Spare Wheels-When going to remote Northern Uganda and Karamonja, we may require that you meet the cost of extra tyres and tubes. Any unused tyres and tubes upon return of the car will be compensated. Send mail to rnxploresafaris@gmail.com with questions or comments about this web site.